Recently, I found time in my schedule to see not one, but three movies. One in the theater, one a Netflix DVD, and one from my own library. Each of these movies had the obligatory ANTAGONIST, so I thought I'd compare them. 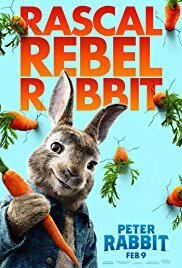 First up, Peter Rabbit, the 2018 offering starring James Corden. Peter is an incorrigible bunny with a bent for mischief. His nemesis, after old Mr. McGregor dies, is the latter's great-nephew, Tom. Upon learning about the death of the uncle he never knew existed, Tom moves into the old house intent on selling it so he can buy his own toy store. He has recently been unjustly let go from Harrod's and he wants to build his store near theirs to rub their noses in it. There's a fabulous quote from Tom on this subject from the movie, but I can't remember it. When this London-bred man goes to the country to see his uncle's house for the first time, he's disgusted to find every woodland creature has taken up residence and he must now clean the place out. Tom isn't really all that bad. A little OCD, maybe. But he starts out as a meticulous employee of Harrod's, and becomes the unwilling owner of a country home with a "vermin problem." Wouldn't we all be a tad stressed out if our new home was overrun by everything from a hedgehog to a male deer with a full rack? Bea: What do you miss most about the store? And don't say having everything in its proper place. I get it. You have control issues. Thomas McGregor: I miss being helpful. A parent or grandparent comes into this shop looking for a gift for the child they love. I ask a few simple questions and know exactly what they need. Thomas McGregor: I love helping people get what they want. [pause] Thomas McGregor: Especially when they don't even know that they want it. Those are the best. Tom has a passion and this blip in his plans has brought out the worse in him. In the end, he redeems himself and lives happily ever after with his love...and her woodland creatures. The next movie I watched was The Mummy starring Tom Cruise. Boy, do I miss Brendan Fraser. But I digress. The villain in this movie is a 5000 year old princess whose destiny was ripped from her. Princess Ahmanet is somewhat narcisistic. She longs to be queen, but when her father's wife gives birth to a son, Ahmanet knows she has lost the crown. She makes a pact with Set, the god of death, and kills her father, stepmother, and the baby. She then attempts to kill her human lover with a special dagger so Set can embody him and they can be gods together. Her plan is thwarted, the unsuspecting dupe is killed by a different person, and Ahmanet is captured and mummified alive. She's placed in a sarcophagus and sent to Mesopotamia--modern day Iraq. There she stays hidden until Tom Cruise unearths her centuries later. She comes to life and now chooses him as Set's new rental home. Yes, she's evil, but she does have a cause. Her greatest desire is to become incarnate and rule the world the forever. Unlike Tom McGregor, she does not gain redemption and ultimately shrivels up and is placed back into her sarcofagus. 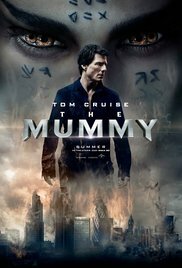 And lastly, in an attempt to erase all of the violence and ick from the mummy movie, (again, Brendan Fraser, where are you?) 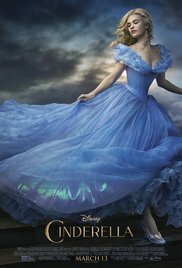 my grandkids and I decided to watch the live-action Cinderella. Lady Tremaine: [holding the glass slipper] Are you looking for this? There must be quite a story to go with it. Won't you tell me? Hm? Very well, I shall tell you a story. Once upon a time, there was a *beautiful* young girl who married for love. And she had two loving daughters. All was well. But, one day, her husband, the light of her life, died. The next time, she married for the sake of her daughters. But that man, too, was taken from her. And she was doomed to look every day upon his beloved child. She had hoped to marry off one of her beautiful, stupid daughters to the prince. But his head was turned by a girl with glass slippers. And so, I lived unhappily ever after. My story would appear to be ended. Cinderella's evil stepmother had a cause. 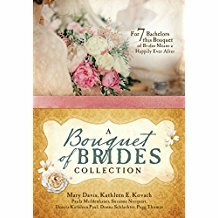 She wanted her daughters to be cared for and thought she had found that in her second husband. But once again, she found herself in dire circumstances, and to add insult to injury, must live with the man's daughter whom he clearly favored over herself. When he died, it was reported that he talked of nothing but Ella and her mother. Obviously, that didn't sit well with his widow. All three of my Friday movies had villains with a cause. And, it seems, they were all due to something happening to them unjustly. Tom McGregor had his treasured job taken away and was then forced to deal with a circumstance beyond his comfort zone. Princess Ahmanet had her destiny ripped from her, and Lady Tremaine's plans were thwarted through the death of her insurance policy, her husband. When writing the antagonist, determine whether they will be redeemed in the end. Add to that, why they are the way they are. What circumstance or series of events has made them evil in the sight of the protagonist? As a final note, I'd like to mention my newest book baby, A Bouquet of Brides. When I wrote the synopsis, I introduced the hero's antagonist whom I planned to redeem. But when I wrote the story, turns out, this one had redeemed himself before I even introduced him to the story. Totally changed the plans I had for him. But I found it much better than what I had cooked up. The heroine's antagonist was a different story. Read about her HERE. *All quotes and movie photos are courtesy of www.imdb.com.